Agronomist Iris Pellot walked up to a plain laid bare by herbicide. Only crops of genetically modified corn could withstand this agrochemical. With safety goggles, steel-tipped leather boots and a four-month-old pregnant belly, she showed for work with crops from the multinational Monsanto in the village of Isabela, northwest of the transgenic epicenter of Puerto Rico. Her hands brushed the plants like many times before, but that day, her skin was marked with embossed red lines, as if it had been whipped with a burning wand. Pellot raises her head to catch some air, scratching her neck as if her throat was still stinging, and goes back to that day of 2010 in a mental journey. She had itchy skin all over her body, cough and wheezing in the chest. She got used to looking at her reflection in the rearview mirror of her work vehicle or the bathroom mirror, and seeing her swollen lips, inflamed ears and bloodshot eyes. “It was normal to see myself looking disfigured like a monster,” says Pellot as she reviewed the effects of the allergic condition diagnosed by the doctor. Iris was 31, but the pulmonologist’s examination showed her lung capacity to be that of a 94 year old woman. In 2015, specialists from the State Insurance Fund Corporation (SIFC), which serves citizens who have been injured in the work environment, diagnosed Pellot with allergic and respiratory conditions for “exposure to vapors or fumes”, acknowledging that Pellot had been injured at work. A total of 185 multinational seed workers have open records before the SIFC; 23 of those have suffered symptoms similar to those of Pellot, according to the government agency’s press office. When Pellot worked with Monsanto on public lands at the Isabela Agricultural Experiment Station and on the multinational’s private farms, Puerto Rico was already the number one transgenic testing center in the United States and its territories. The federal government granted, from 2006 to 2015, a total of 1,872 permits for research and development of seeds to which they insert genes of another species. This is revealed by an analysis of the database of the agency that regulates this industry, the Animal and Plant Health Inspection Service (APHIS). At that point, the island surpassed the leading state, Hawaii, where 1,590 experiments were carried out in the same decade. Monsanto was responsible for 49% of all such activities in Puerto Rico. What does it mean to be the number one center of experimentation? How does this benefit a bankrupt Island? 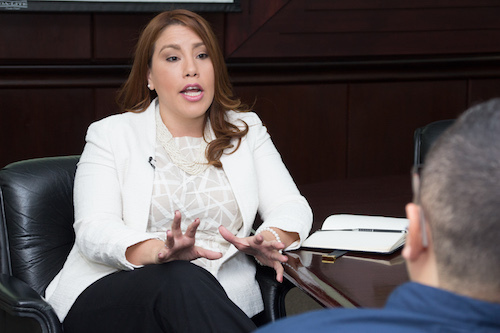 The executive director of the Puerto Rico Association of the Industry of Agricultural Biotechnology (PRABIA) that represents seven seed corporations in the Island, Beatriz Carrión, is in a conference room, accompanied by three communications advisers, at the premises of the advertising agency Burson Marsteller, in the municipality of Guaynabo. Two screens show maps of Puerto Rico crossed by a soybean plant and the initials of the organization. But data points in a different direction. Including the seven multinationals that Carrión represents, a total of 27 organizations developed transgenics during the decade of 2006 to 2015, and only one was Puerto Rican. Dimuth Siritunga, biology professor at the University of Puerto Rico, Mayagüez Campus, applied for a permit to experiment with a variety of African cassava, which has higher nutritional content, resistance to a virus and reduction of toxins that affect the nervous system. The goal of these improved seeds is to supply them to governments in Nigeria, Uganda and Kenya, where the crop is popular, through a project sponsored by US tycoon Bill Gates. Although transgenic soybean and corn are not representative crops of local agriculture, they make up 90% of all seed corporations’ experiments. That means that while the island is in a fiscal crisis and barely produces 15% of its food, seed corporations subsidized by the government of Puerto Rico worked to develop agriculture in the major soybean and corn producing countries, such as the United States, Brazil and Argentina. Cow’s milk and plantain are the most valued agricultural products of the island, according to the most recent Agricultural Census. But no experiment registered by APHIS attempted to solve a local problem, such as stopping the larvae of the South American palm weevil that bores the plantain, or the coffee borer that ruins the coffee crops. But her statements are misleading. The last decade of experimentation on the Island served mainly to develop an agriculture directly linked to the agrochemicals that are sold the seed corporations themselves. According to the APHIS database, 61% of the trials carried out by subsidized corporations were seeking resistance to herbicides, including glyphosate, which Monsanto markets under the Roundup brand. Only 24% of the experiments included combinations of phenotypes that incorporated drought resistance, a crucial feature for crops to survive the effects of climate change. Because multinationals do not sell the seeds they experiment with in Puerto Rico, their business in the island lies in the shelves of hardware stores, agricultural stores, and supermarket gardening sections that sell glyphosate. In the town of Aibonito, located in the mountains of this transgenic paradise, the municipal government sprays this chemical on the side of the roads in order not to trim the weed, despite its consequences for the soil that, having no mantle vegetation, is eroded by the effect of rain and wind. “At Monsanto we knew that where we sprayed Roundup there was erosion,” Pellot said. Transgenics. Glyphosate. Monsanto. Are these harmful to our health? Few issues in contemporary science generate such polarization in public debates. Whenever an academic report against genetic modification and agrochemicals appears, corporations discredit the method used by the study. When the International Agency for Cancer Research indicated that “glyphosate is probably carcinogenic to humans,” Monsanto denied it and responded by quoting other articles that contradicted its’ findings. Transgenics are neither as bad, nor as good as they say, said the Union of Concerned Scientists, founded by academics at Harvard University and the Massachusetts Institute of Technology, which has denounced censorship of data and use of science to impose military and corporate power since the Vietnam War. The organization points out that the risks have been exaggerated by the opposition, while the alleged benefits of better returns do not live up to expectations. 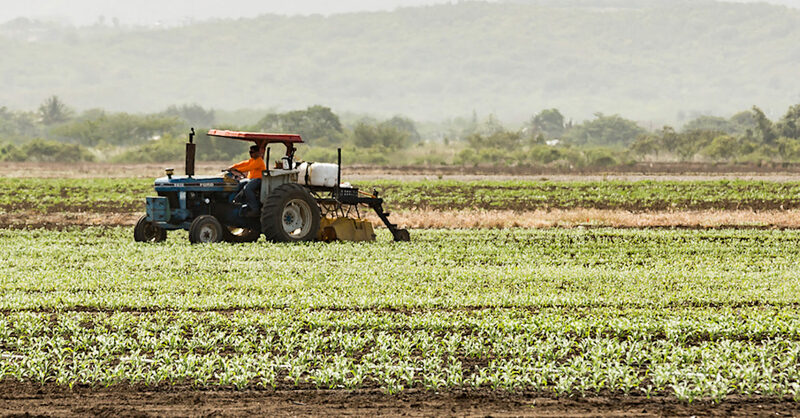 In Puerto Rico compared to the rest of the world, this industrial sector applies more than normal quantities of insecticide to try to control the problem of pests that affect transgenic crops, that allegedly are resistant to insects. In the experimental centers of these seed corporations they apply between 29 and 39 coats of insecticides per crop (from sowing to harvesting), while farmers on commercial farms in Brazil typically apply ten, according to entomologist Héctor Portillo, a panelist at the Convention of the Agricultural Biotechnology Industry Association of Puerto Rico, held in San Juan in September 2016. 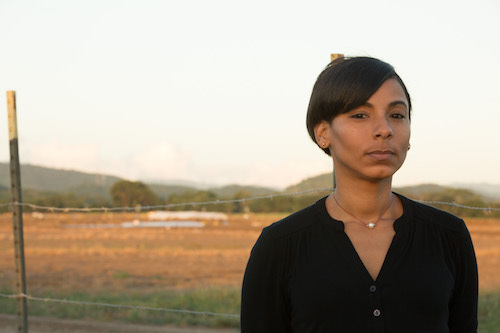 To be able to withstand longer periods of work being exposed to the agrochemicals, agronomist Iris Pellot had to take medications to counteract her allergic reactions. “Until one day”—she recalls—“the doctor told me, ‘No, my dear, you’re going to die. '” Pellot performed experiments with unidentified chemicals, she says. After eight years working for Monsanto, she was fired for not showing up to work for more than 12 months while receiving medical treatment. Then, through her attorney Judith Berkan, she started to request information from the company, to find out more about the contents of the chemical she had worked with to ask the company for a remedy for her health condition and be able to receive adequate medical treatment. The multinational corporation responded with a letter stating that it would not give out more information beyond what they had already given. Monsanto’s public relations officer, Miguel Pereira, cancelled an interview with the CPI after learning that PRABIAS’s executive director was also going to be interviewed. . “I hereby notify you that the interview we had scheduled for tomorrow has been canceled”, said Pereira. “We are confident that, once you hear the industry’s side of the story, we will be able to address any other need for additional information you may have”, added Pereira. The allergic condition of Iris Pellot, the amount of land controlled by Monsanto in excess over the limit allowed by the Constitution of Puerto Rico, and the facilities built in parte with public funds in one of their privately-owned farms in Juana Díaz, were some of the topics the CPI wanted to discuss with the multinational corporation. However, the company never responded to any of our three requests for an interview.